Preheat the oven to 425. Chop the brussel sprouts in half. Toss the brussel sprouts and broccolini on a baking sheet with olive oil, salt and pepper. Cook in the oven for 20-25 minutes. While the vegetables are cooking, boil the quinoa with 2 cups of vegetable or chicken broth, and simmer till done. Sauté the spinach and chickpeas in a frying pan. 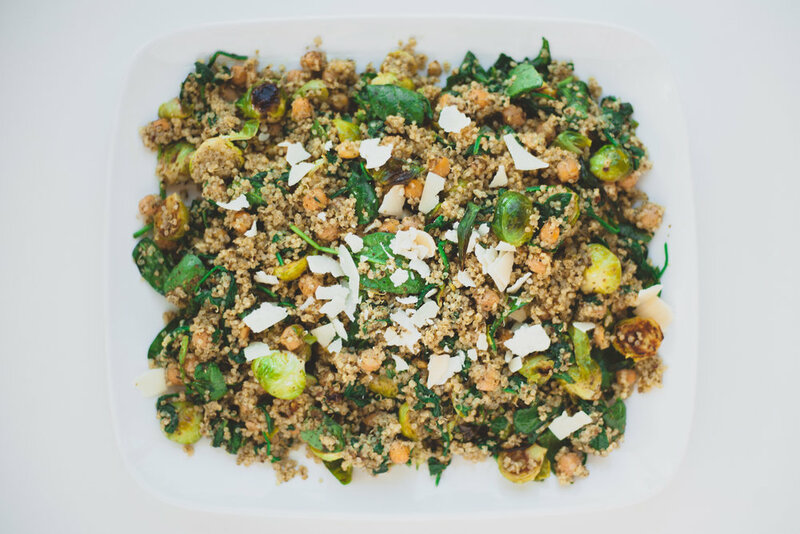 Combine the quinoa, brussel sprouts, spinach, chickpeas, and pesto in a large bowl and serve with the roasted broccoli on top. This recipe would be amazing with some additional organic grilled chicken or sausage.